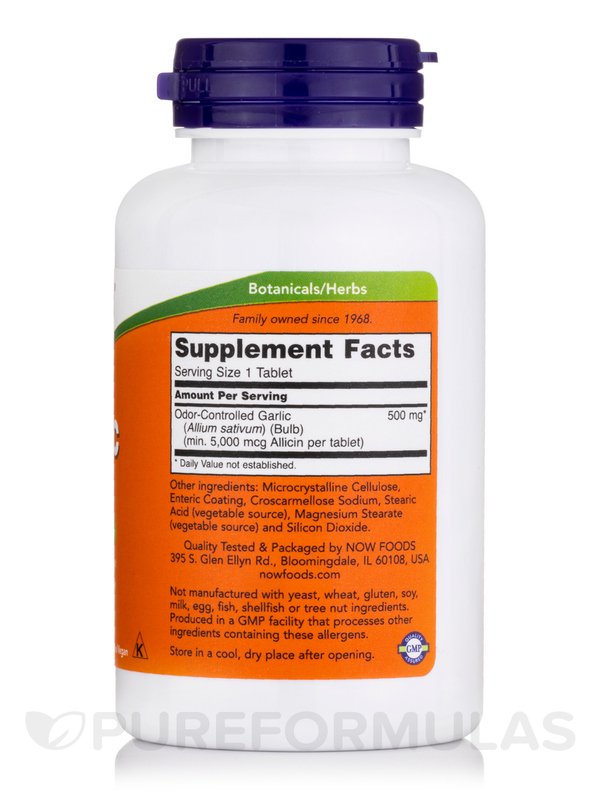 This Garlic product is standardized to yield allicin precursors‚ which convert to allicin when ingested. 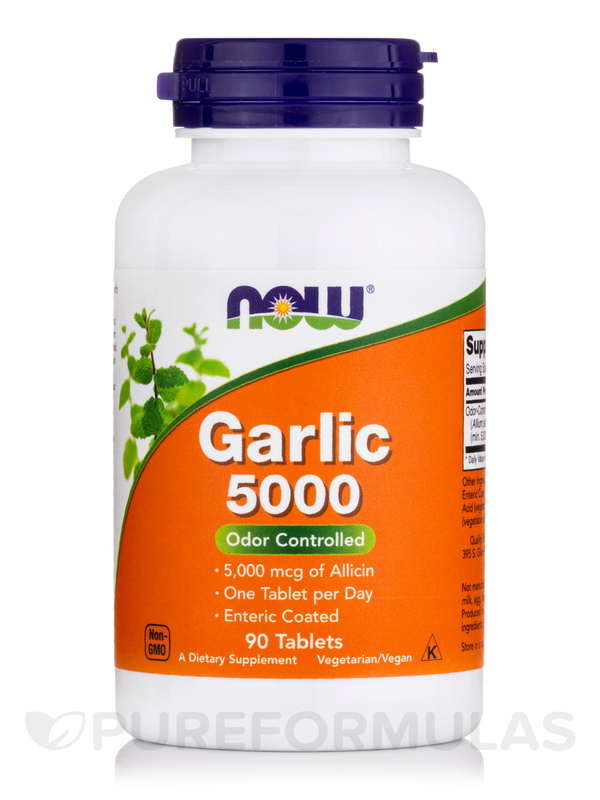 It is enteric coated so that this conversion occurs in the upper intestine for optimal absorption and to protect against garlic’s pungent odor. 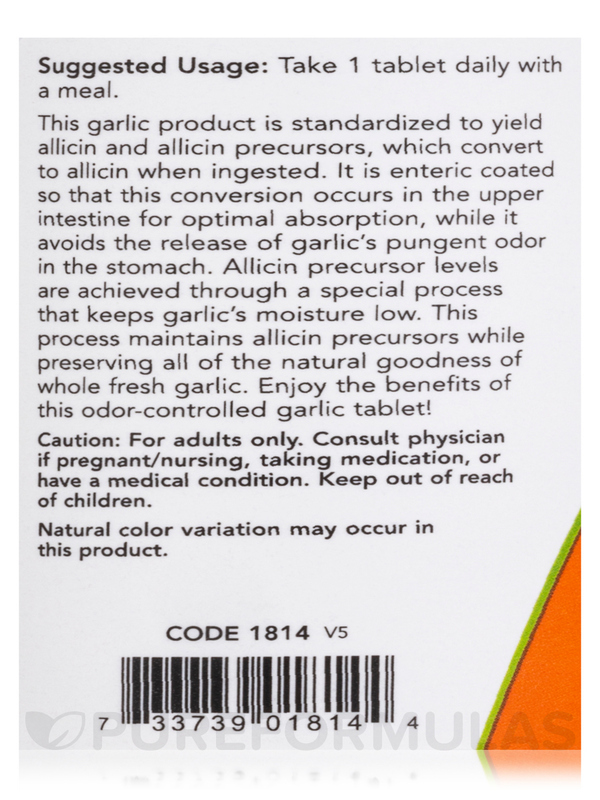 The allicin precursor levels are achieved through a special process that keeps Garlic’s moisture low. This process maintains allicin potential while preserving all of the natural goodness of whole fresh garlic. 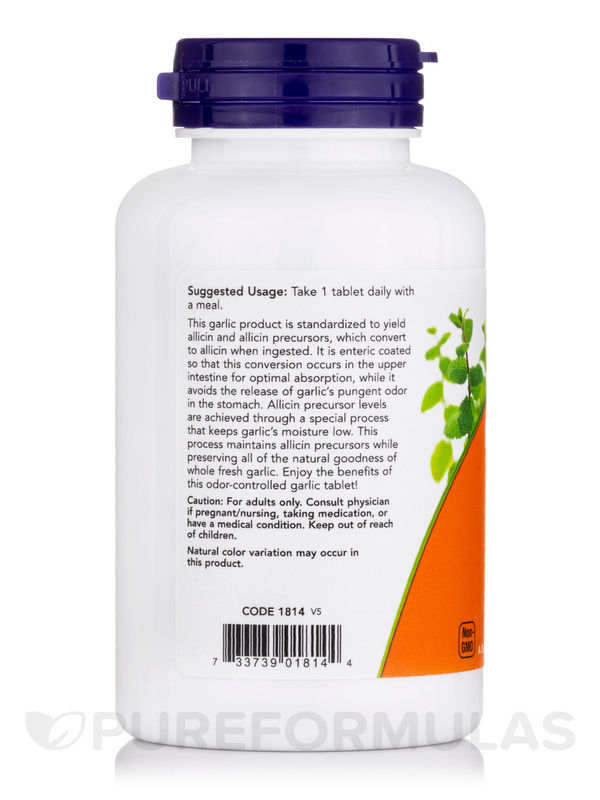 Enjoy the benefits of this odor-controlled garlic tablet! 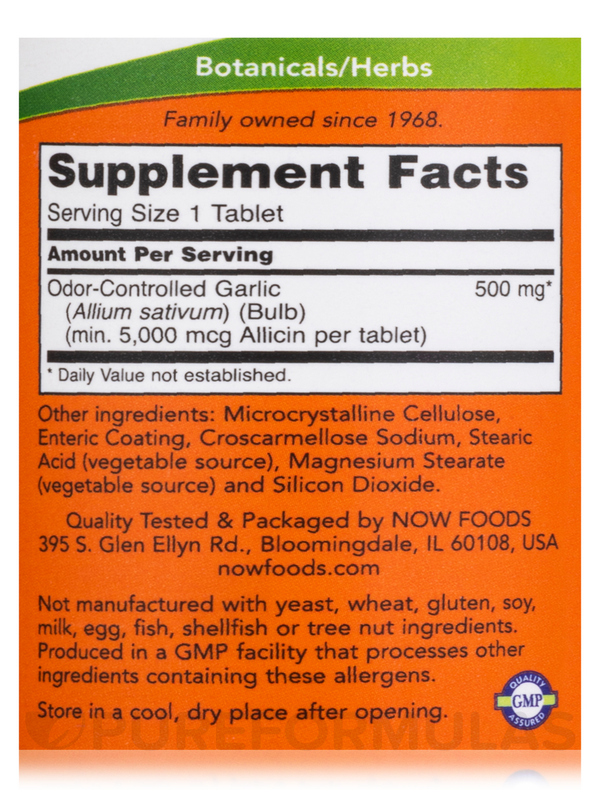 Other Ingredients: Cellulose‚ Enteric Coating‚ Croscarmellose Sodium‚ Stearic Acid (vegetable source)‚ Magnesium Stearate (vegetable source) and Silica. GMP Quality Assured / Vegetable / Vegan. For adults only. Keep out of reach of children.